How To Get Google’s Inbox By Gmail App Invite Instantly? Google has recently released a new app called ‘Inbox by Gmail’ which is a modern take on Google’s now ancient Gmail. The Inbox by Gmail app has been developed by the same team which was behind Gmail. The Google Inbox app re-imagines Gmail and is built for the mobile first generation. It is available both on Android and iOS. Inbox by Gmail is a mishmash of Gmail labels, Google Now and Mailbox. You will find a few features borrowed from each of them. Inbox by Gmail app bundles similar email under different labels like Travel, Purchases, Updates, Finance, Social, Forums and Promos. You can also create your own bundles. You can swipe right on an email to mark it done and swipe left on an email to snooze it. The app also provides you with real-time status of your flights and package deliveries akin to Google Now. It also borrows various other Google Now features. How To Get Google’s Inbox By Gmail App Invite? Google is once again following its age old trick with the Inbox by Gmail app. It has used a similar invite system when it first launched Gmail back in 2004. Choosing an access by invite only method for the Inbox by Gmail app gives multi-fold advantage to Google. It helps create lots of buzz around the latest app, get valuable customer feedback before the app is rolled out to everyone and lets Google ramp up its infrastructure in a phased manner. I list below the three ways by which you can get an Inbox by Gmail app invite. 1. To get an Inbox by Gmail invite, you can shoot an email directly to Google at inbox@google.com and wait for its grace to shine upon you. 2. Request a friend who already has access to Inbox by Gmail app to send you an invitation. 3. Or, simply leave a comment below with your email id and I will send you an Inbox by Gmail app invite on first come first serve basis. Don’t worry even if I have exhausted my three Inbox by Gmail app invites. You can always request the first three to send you an invite. How To Send An Inbox By Gmail App Invite? 1. Tap the red plus icon at the bottom right corner of your screen. 2. Tap the yellow ‘Invite to Inbox’ icon just above the red ‘Compose’ icon and you should be able to send out the Inbox by Gmail app invites to your friends. Start exploring the Inbox by Gmail app after receiving an invite and do comment below how you like it. Note: It is not advisable to post your email id in the public domain. You are solely responsible for posting your email id here. 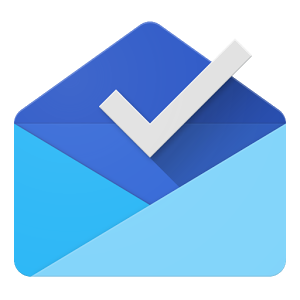 Update 1 (14/11/2014): New Inbox by Gmail App invites available. Post email id. First come, first serve basis. meritumonline@gmail.com – can I have 1 invite? I have sent an invite to Aman Goenka, Merit and Zoran. Guys, you can give out 9 invites in total. Please send an invite to anyone who requests. Fine but ill need to wait to get this option to my account. Someone please hook me up! Could i have an invite please. Please Can i have an invite. Would love an invite for Inbox. Hey thank you for sharing invites woth people can you send one to me aswell? could you pls send me notification. can you help me a invite? would love to get an invite, quite interested in perusing the new mailbox. If anyone has a spare invite would love to get one! Please send me the inbox invite. Hi, I have waited patiently for His Grace to shine down on me this last week without luck. Then I turn to you… Thanks. Please send me an invite to kim.c.kwa@gmail.com. Thanks in advance. please send me.. invitation..I am eagerly waiting. Please send Google inbox invitation. I can see the long lists of mail ids.. U r doing good. Pls Send me Inbox invitation. Thanks a billion in advance. Hey! Can I have one, pleasee?? I would love an invite please and thank you! Hey everyone I’m hoping I can get an invite too. I requested one from Google yesterday but don’t know how long it will take. Please kindly send me an invite for INBOX by gmail. please send me 1 invite…..
Request Inbox invite… Thank You! Thank You in advance for whomever might shine their inbox light upon me. Can someone please send me an invite? Please, could you send me one ?? Please sent me an invite. Could I kindly get an invite? japanwide.wouter AT gmail.com. Hi…I would appreciate an invite of u have it. Thank you!!!! If someone got it from here and has invites please send me one, greatly appreciate it. Can i get invite to irma@bucinskaite.lt? My email works with Google Apps for work domain. My email is varun.sardesai15@gmail.com . Could somebody please send me an invite? Please invite me… Thanks a lot buddy! Can you please send me an invite to inbox please? hi folks! can i get an invite please!! Could you help me to get an invite? Could you please send me an invite? Thank you very much. I have sent you an invitation. Hey could I please get an invite.